We love people visiting the Florida Panhandle. The beaches, shops and other destinations can be plenty of fun. There are many attractions for residents and tourists alike. There may exist hidden dangers that may cause serious slip and falls or other accidents and injuries. 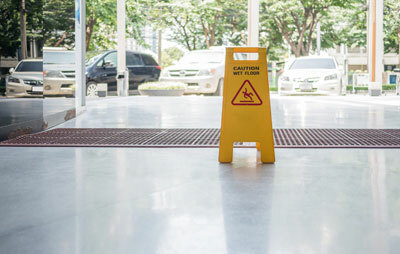 According to Florida premises liability law, businesses, hotels and rental property owners are liable for injuries resulting from substandard maintenance or lacking proper safety warnings that lead to slip and fall accidents. Have you been injured at a commercial establishment, condominium, time share or another property? It is necessary to know your rights and choices for seeking remedies for medical bills, lost wages and pain and suffering and more. David A. Simpson of the Simpson Law Firm offers you free consultation with an experienced personal injury trial lawyer if you have been injured in one of the kind of accidents.“Fault” with Slip and Fall Injuries. The owner of a hazardous property (and their insurance company) will likely blame the victim in these type of cases. It is critically important to be represented by a skilled trial lawyer. The Simpson Law Firm understands the strategies insurance companies and their adjusters use to avoid paying the appropriate compensation for injuries. David Simpson knows how to fight to protect a victim’s right to seek fair recovery.